The evolution of a proven design, this Gerber everyday carry pocket knife stands up to the daily grind with all steel construction. Dual thumbstuds allow for ambidextrous opening and a durable frame lock can be operated with one hand. The evolution of a proven design, this Gerber everyday carry pocket knife stands up to the daily grind with all steel construction. Dual thumbstuds allow for ambidextrous opening and a durable frame lock can be operated with one hand. A smart combination of two best-selling designs, the Airlift offers the durable steel frame of the Paraframe with the streamlined blade and handle design of the RipStop. 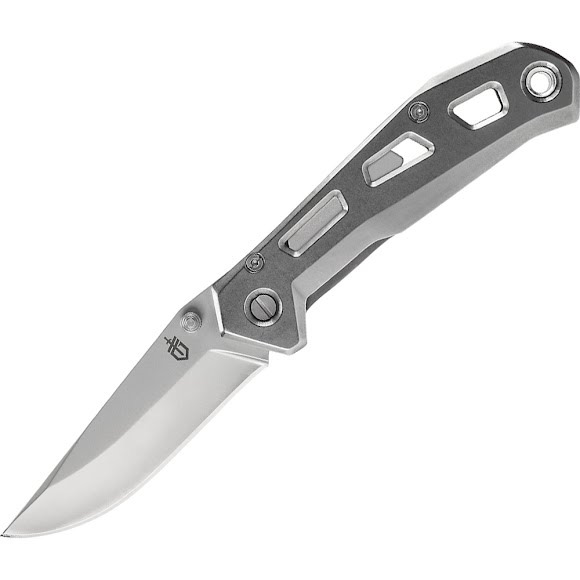 The result is an everyday carry knife that is light in the pocket yet extremely resilient in use.